Please click here to download our Application Form 2019/2020. All learners applying for a place on any of LCFE’s Childcare & Healthcare programmes, with effect from 1st September 2006, are subject to receipt of satisfactory Garda vetting. Garda vetting is conducted in respect of personnel working in a full-time, part-time, voluntary or student placement capacity in a position in a registered organisation, through which they have unsupervised access to children and/or vulnerable adults. What are the programme fees and how do I pay? There are no tuition fees payable to the College by EU nationals. However, learners are liable for registration and examination fees. Registration fees vary depending on programme choice. Applicants will be informed of individual programme fees and possible exemptions at interview. – What am I interested in and what do I enjoy studying? – What do I want to do in the future and what do I need to get there? If you are still unsure, come along to our open day where you can find out what courses are available and speak to people who can help such as career guidance, admissions staff, course tutors and previous Learners. How different is college to school? Limerick College of Further Education offers a more adult environment than school. You get to study the things that really interest you and you will meet people of all ages and backgrounds who are interested in the same things. There are no bells or uniforms and there are free sports clubs and societies that you can get involved in. As a mature learner I am nervous going back to education? 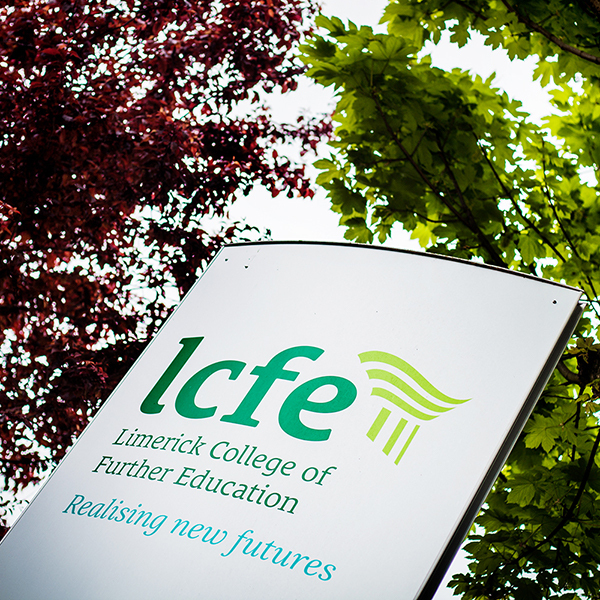 At Limerick College of Further Education we have courses for people of all ages and abilities. We have a very diverse community of learners. With 50 years experience we feel we can provide an environment where all learners can thrive and achieve their goals.